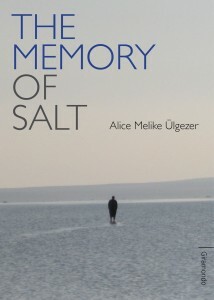 Last week I had the pleasure of discovering a new voice in Australian literature: Alice Melike Ülgezer, the author of The Memory of Salt, published by Giramondo this year. I enjoyed her book because it featured a culture unfamiliar to me and was written in a style was highly original. (See my review). The Memory of Salt draws on the author’s rich cultural heritage. The blurb at Giramondo tells us that she has lived and worked in the deserts of South Australia, and in Turkey, Syria, and Egypt as an apprentice camel handler, writer, freelance journalist and musician. The AustLit database tells us she’s also a belly dancer. She has a masters degree in creative writing, and in 2012 is doing a PhD on the Qadiri Dervishes of Kurdistan. Now I am pleased to introduce the author to you, because Alice has kindly agreed to reveal all in Meet an Aussie Author. 1. I was born in London, Kingston upon Thames in the Spring, en route to Australia. I wasn’t allowed a British Passport because my Dad was not from a Commonwealth country. And my Mum tells me she used to nurse me to Pink Floyd’s The Wall before it was banned from public air play by Thatcher. 2. When I was a child I wrote my first novel about a panda who was a stowaway from China. I was seven years old and it took up my whole exercise book. Of course I thought it was a work of genius! 3. The person who encouraged me to write was my year ten literature teacher at University High School, Mr Slattery. He loved my work and really focused me on it. He gave me that crucial sense of possibility. Although I remember he scrawled across one of my stories once in his big spidery handwriting, What’s the plot??? I am still trying to work that out. 4. I write at my desk in my bedroom, the mothership, if it’s on the computer and I am close to the final product, or otherwise I write anywhere with a bit of solitude. I write in different places for different pieces. And I also just write where ever I am when ever I need to. 5. I write in the morning. I love writing really early before the sun is up and everyone else is sleeping. 6. Research is so many things: going on long walks for hours and letting your brain drop out of transmission and into a different state, carrying around a digital recorder and recording even the sound of your own footsteps. It can be accidentally eavesdropping on the conversations of strangers, trawling through old record collections, looking up obscure details in encyclopaedias and foreign dictionaries, doing what your characters do, and dreaming. 7. I keep my published work/s in a few bookcases across a couple of houses. I haven’t really got them organised at all. Perhaps I should. 8. On the day my first book was published, I went down to Melbourne’s oldest wine bar, Jimmy Watson’s, with my dear friend and my mother. We made quick friends with all the old Italians at the back bar ( who were keen to know if I was a Stalinist) drank Champagne, shrieked, laughed and carried on as the book got passed around. I think I signed a wine splashed napkin for someone. 9. At the moment, I’m writing my next novel and I’m in love with it. 10. When I’m stuck for an idea/word/phrase … For words, I listen to music and lyrics or randomly open the dictionary or Roget’s. Fancy that about Pink Floyd’s The Wall! I don’t think it was banned here in Australia, was it? Do read the launch speech of Alice’s book by Antoni Jach, it is full of insights about the book, and I loved what he had to say about the multilingualism that Alice plays with. Thanks for this Lisa … she sounds like an interesting new voice … and anyone who would celebrate a new book at a wine bar with her mother and a friend sounds well worth knowing and reading! Not being a Melburnian I don’t really know the place though I have of course heard of Jimmy Watson!